Are you a Phoenix Zoo Member? 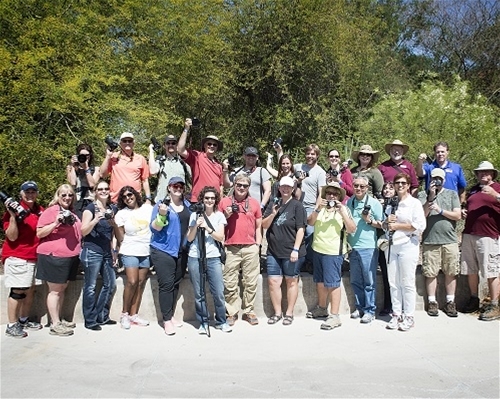 Walkabout programs are open to photographers with any type of camera or skill level, unless specifically noted otherwise. These programs have a casual, conversational feel and participants are encouraged to help guide the direction of the walkabout by expressing their interest and asking questions of the instructor. Being familiar with your camera (how to access settings, etc.) prior to the program is always appreciated. The walkabout programs focus on practice with (and feedback from) an expert photographer; this is not a lecture class. Bring your camera manual to the walkabout. Each camera brand and model can be slightly different. Our instructors are extremely talented photographers, but we'd never expect them to be fully versed in operating every single camera on the market. Your camera manual can be a useful took for you and for the instructor. Consider signing up for multiple photo walkabouts. Our photographers each have different styles of instruction, personal interests and experiences which contribute to the walkabouts they lead. Additionally, engaging with fellow participants to learn from and share with each other makes each of these programs unique and dynamic. The Photo Walkabout program fee does NOT include admission to the Zoo. Non-members must purchase a Phoenix Zoo admission ticket along with the program.